Dr. Wolfert is proud of the community practice he has built in Weymouth since taking over for Dr. Armen Nalband in 1991. He has been able to continue relationships with many of Dr. Nalband’s original patients as evidenced by the number of patients who have become part of his “Toothboss Hall of Fame”. 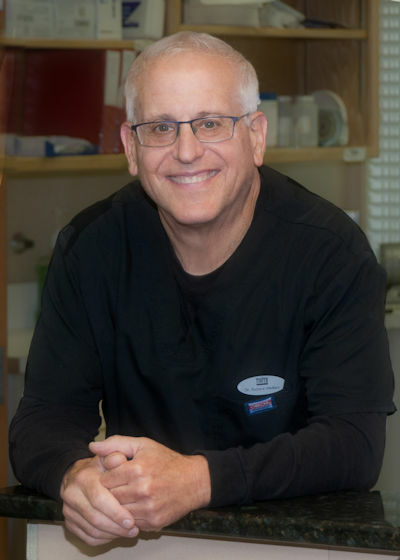 During this time Rick has earned a reputation for not only being a clinically exceptional dentist, but also one whom his patients trust and feel comfortable with. Rick graduated from Tufts School of Dental Medicine in 1981 after receiving his undergraduate degree from the University of Vermont. During his tour on the Aircraft Carrier Midway (CV-41), he was deemed the “Toothboss”, a nickname that has followed him since he left active service. He was deployed with the Massachusetts Army National Guard to Iraq in 2004 in support of Operation Enduring Freedom as a dentist and the unit’s Triage Officer. He retired from military service in February 2015 with MORE THAN 33 years of service. In 1988, Rick began his private practice career in Milton. He then worked in Norwell before coming to Weymouth in 1991. He is a fellow of the Academy of General Dentistry and has published in the Journal of Prosthetic Dentistry. In his off time, Rick enjoys spending time with his two daughters: Bethany Lee and Jessica. 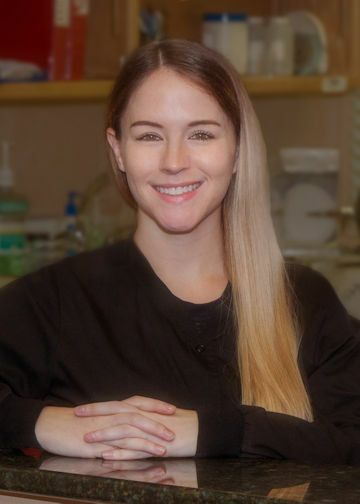 Bethany Lee is 28 years old and is in her third year of a graduate Nursing Program at Regis College in Weston, which will enable her to practice as a Nurse Practitioner upon graduation in May of 2019. She lives in Braintree with her 2-year-old Siberian Husky Tucker. She has a very busy schedule going to school, working as a nurse at McLeans Hospital (Belmont) and training and competing with Tucker in Agility competitions throughout the northeast. Jessica Marie is 25 years old and works as an SEO strategist for a well known marketing company called 360i. She has been living in New York’s East Village since graduating college in 2015 and thoroughly enjoys the City and all it’s attributes. She is very busy with her job but still finds time to get together and maintain a close relationship with her Villanova friends and friends from her high school years in Hingham. She aspires to be an attorney and is currently putting a lot of time and effort into preparing for the LSAT with the goal of applying to Law School in 2019. Rick also maintains close relationships with Debby’s two boys Paul and Danny and Nicole, their sister. Paul and his wife Christine and their two boys live in Tualatin, Oregon. He works as a Protection Relay Technician for Portland General Electric. And Danny lives with his wife Beckee in Chestnut Hill. Danny works for GYK Antler, an advertising firm in Boston, as a Strategist and Beckee works as an OR Nurse at Brigham and Women’s Hospital. Rick enjoys watching or listening to Boston sports, working out at a local gym, riding a 1983 Honda CB 1000 he restored, cooking, and managing Debby’s 3-family home in Abington. I have worked on Dr. Wolfert’s dental team for 30 years! In that time, I have watched 5 year old patients grow up, get married, and bring their own kids in for treatment. My joy has been to make their dental experience as relaxing as possible by putting many birdfeeders outside of our office window along with plants and of course corn for the squirrels! Patients have a wonderful time watching the birds fly up to the window, it’s like a ballet! When patients walk into our office they are greeted by their name and made to feel welcomed immediately. I’ve experienced walking into offices and feeling like an intruder. That’s not going to happen here! I have been a part of Dr. Wolfert’s team since 1999, although taking some time off here and there to have and raise my 3 sons. After several years I decided to see if Dr. Wolfert had any part time openings on his team, I missed my Dental Office Family! I started with a few hours and now I am full-time and can’t imagine working for anyone else. I enjoy assisting patients in achieving optimal dental health and the smile they deserve. I do this by helping patients comprehend and maximize their insurance as well as creating payment plans that fit their budget. I love the life-long relationship I have developed with our patients. 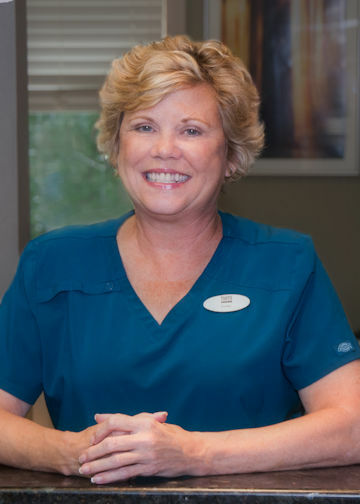 Elizabeth graduated from Forsyth School for Dental Hygienists in 1993. 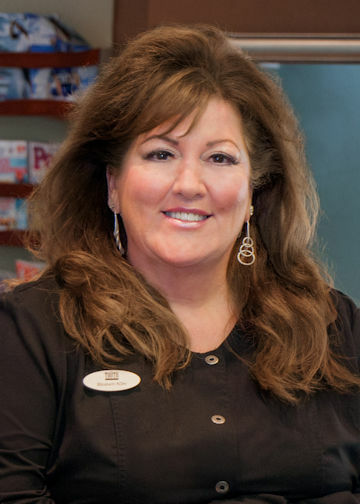 She has been working at The Toothboss for over 17 years. Recently Elizabeth was trained as a certified laser technician specializing in skin rejuvenation and removal and/or lightening of sunspots and tattoos at Renew Laser Center in Hanover. Michaella is the newest member of our team even though she has been with us for four plus years! She is a graduate of Bristol Community College and has an associate’s degree in dental hygiene. She also works as a hygienist at a pediatric dental practice and oftentimes utilizes the skills she developed there in our practice. In college, Michaella worked her way through school as a manager of a movie theater in East Bridgewater. Michaella tells us at The Toothboss she loves working with Dr. Wolfert and the rest of the team. She appreciates all her patients and works very hard at making every one of them feel comfortable and free from the stress usually associated with coming to the dentist. Michaella has a natural rapport with our patients and has become a favorite of several of our regulars. 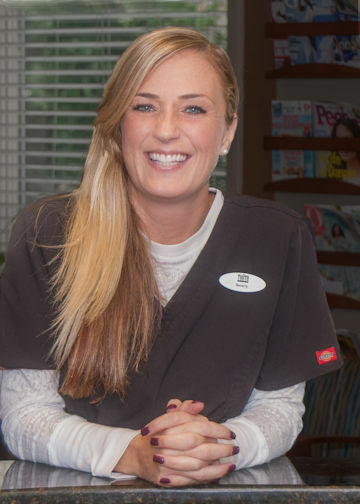 She loves educating patients and takes great pride when patients improve their oral hygiene and overall dental health based on her instruction. A lifelong Bridgewater resident, Michaella now lives with her husband Derek in Middleboro and they are expecting their first child January 1, 2019!